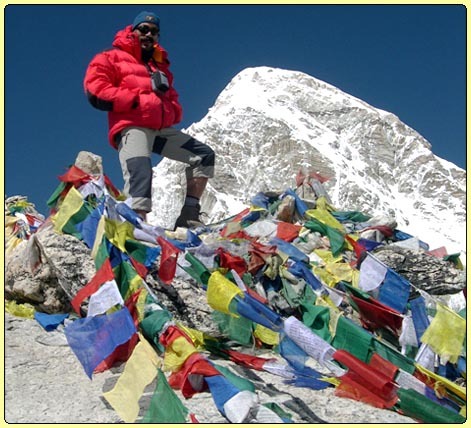 Greater Himalayas and border Himalayas offer many peaks and mountaineering expedition in Nepal and Tibet. Among them few peaks and Mountain are open for foreign climbers in Tibet in comparison of Nepal. Greater Himalayas and border Himalayas offer many peaks and mountaineering expedition in Nepal and Tibet. Among them few peaks and Mountain are open for foreign climbers in Tibet in comparison of Nepal. Today Earthbound Expeditions is fully organize to provide logistical support of any kind of expeditions from obtaining permission, providing strong Sherpa supporter, including high altitude climbing assistants, porters, and to facilitating customs clearances. Thinking is easy but climbing is very hard. Certainly it is hard to scale tallest & youngest mountain. It is still challenging for mountaineer. Famed as Cho Oyu situated at border Himalayan range is the world's sixth highest mountain. A permanent advanced base camp will be established after a few days acclimatization and then our strong Sherpa climbing team will establish, further three camps can be placed en-route to the summit. The major obstacle other than the first and second steps is the wind. Poor planning will leave you tent less very quick efficiency is the key to scale the Summit. Earthbound Expeditions can organize fully supported Cho Oyu expedition trip in Tibet for you. Grade: Moderate - Adventurous - Expeditionary. Day 01 : Arrive Kathmandu. Meet & transfer to Hotel. O / N Hotel. Day 02 - 03 : Free day in Kathmandu for preparation. O / N Hotel. Day 04 - 09 : Drive to Base Camp. O / N Camp. Day 10 -13 : Trek to Advanced Base Camp. O / N Camp. Day 14 : At Advance Base Camp. O / N Camp. Day 15 - 39 : Climbing Period. Day 40 - 44 : Drive back to Kathmandu. O / N Hotel. Day 45 : Free day in Kathmandu for independent activities. O/ N Hotel. Day 46 : Transfer to airport for departure.